Headset Suite, UC Connectivity Suite en IP Connectivity Suite. Conferencing solutions, Audio conferencing, Video conferencing, Display & Presenting..
Video Infrastructure en Networking & Security. 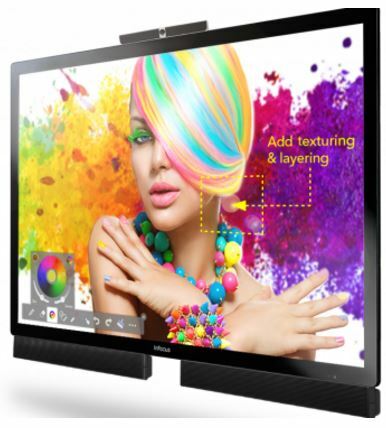 Display, annotate and whiteboard on an anti-glare 65-inch capacitive touchscreen.